The world’s best known brands are using Sumo Logic to help them harness the power of real-time machine data analytics and get the continuous intelligence needed to build, run and secure modern applications and accelerate digital business transformation. Registration opens in late May. Seating is limited. We bring together practitioners and leaders across IT ops, DevOps and security for hands-on training, certifications, technical sessions and real-world case studies from peers and partners. Learn advanced techniques and optimizations to collect, transform and analyze your machine data to improve effectiveness and gain better operational insights and security of your digital business. Sumo Logic's two-day conference bringing together leaders across IT ops, DevOps and security. 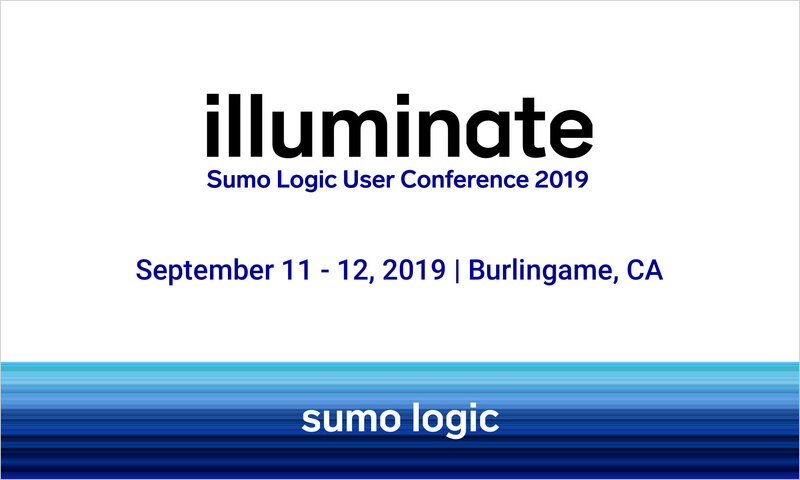 Watch Sumo Logic CEO Ramin Sayar keynote at Illuminate 2018, Sumo Logic's annual user conference. Sumo Logic's report with data-driven insights, best practices, and year-over-year trends. Get started. Gain broad knowledge analyzing logs and metrics with the Fundamentals Certification. Get Sumo Logic up and running and learn to do simple filtering, data parsing, and analysis. Advanced querying. Build on the knowledge gained in Fundamentals to do more in-depth analysis of logs and metrics. Identify critical events with ease and create the dashboards and alerts necessary to monitor your environment. Manage Sumo Logic. Receive critical Administration expertise on how to set up your organization with Sumo Logic as well as how to optimize and mange queries and content to make the whole team more effective. Security querying and alerts. Build on the knowledge gained in Fundamentals to do more in-depth analysis of threats and suspicious activity. Increase the velocity and accuracy of your threat detection. "It was great to have the ability to speak with other users as well as Sumo experts to better understand how others use it and how I can better use it." Learn how to optimally monitor, troubleshoot and optimize your modern applications and infrastructure to ensure you are delivering the best possible customer experiences - whether your applications is “lifted and shifted”, or on the most modern, containerized, microservices-based architectures. From ensuring compliance to regulations such as GDPR and PCI, to effectively executing threat investigations - learn how Sumo’s Security Analytics solutions are being integrated across a wide-array of security technologies to identify, investigate and remediate threats. Just want to know how to optimize a search, use our APIs for automation, or learn about a new feature? Sumo Experts will be demonstrating new features, best practices and tips learned for 1000’s of implementations. "I was impressed by the breadth of capability Sumo has. Before the conference I thought of it as a log aggregation tool. I now think of it as a complete monitoring and system visibility environment."